“I love hip hop, but with the way it’s going right now, I could do without it,” Phife Dawg boldly claims in the rapumentary, “Beats, Rhymes & Life: The Travels of a Tribe Called Quest,” and after watching the film, it’s easy to see his point. Even more than 20 years after its creation, “A Tribe Called Quest,” the pioneering rap group from Queens, N.Y., featuring Phife, Q-Tip, Ali Shaheed Muhammad and Jarobi White (who later left the group but appears in the film when he tours with them in 2008) truly isn’t like other bands in the music business, and that’s what separates this film from becoming a “Behind the Music” cliché. In both the music videos from the 90s and concert footage from the group on their 2008 “Rock the Bells” tour, none of the members are shown obnoxiously grabbing their crotches like most current rappers feel the need to nowadays. The biggest addiction in the group is Phife’s sugar tooth, a vice that caused him to become diabetic, and the group’s old music videos don’t feature any booty-shaking girls, which allows the focus to be on the laughable 90s fashions in which the members outfitted themselves. But while the clothing and haircuts have come and gone, the music still remains timeless. The group’s first three albums are regarded as classics: 1990s “People’s Instinctive Travels and the Paths of Rhythm,” 1991s “The Low End Theory” (which producer Bob Power calls “the Sgt. Pepper of hip-hop”) and 1993s “Midnight Marauders.” The group’s videos and singles are discussed at length by both the Tribe and members of the hip hop community. Questlove, the Beastie Boys, Pharrell, Common and rappers involved with Tribe in the early 90s Native Tongues movement (De La Soul, Queen Latifah, the producer Prince Paul) praise the group, commenting on how the group’s albums impacted their lives. And for every famous fan shown in the film, there are probably three regular ones watching it in theaters. 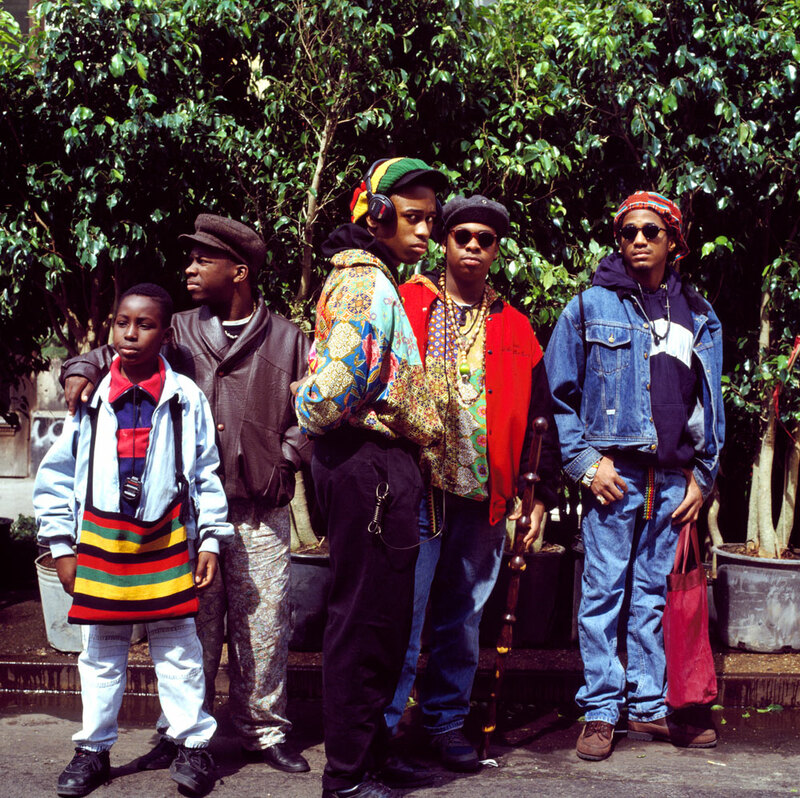 Still, there are times when the movie feels like rap’s version of “This is Spinal Tap,” mostly because of the countless number of scenes devoted to the complex relationship between boyhood friends Phife (Malik Isaac Taylor) and Q-Tip (Kamaal Ibn John Fareed), an aspect as crucial to the group’s history as its rhymes and musical samples. At times, the two seem like brothers vying to be the prodigal son, but when Q-Tip pesters Phife about his diabetes, it’s almost like he’s the overbearing father. Much like he was for the entirety of the group’s career, Ali is mostly seen and not heard for the documentary. When there’s a fight between Q-Tip and Phife, he’s often hidden in the shadows of the background, clearly not wanting to get involved. At times it feels like the group’s DJ is as much of an audience member as the viewers in the movie theater. “The hardest part about being in a group is constantly considering someone else — even before yourself,” Q-Tip says, poignantly realizing that the group’s downfall wasn’t about drugs or money, but rather the group members. Hip-hop group A Tribe Called Quest stars in the documentary "Beats, Rhymes & Life: The Travels of A Tribe Called Quest" which chronicals the group's 20+ years together. But realizing the problem and trying to fix it are two different things, and the film ends, as the group ultimately did, with Phife and Q-Tip in a Mexican standoff. After hearing and seeing how much potential the group had, it’s disappointing to see how they ended up. “This is a Tribe Called Go Figure. You don’t know what’s going to happen, but that’s part of the fun,” Phife muses. It’s part of the heartbreak for the group’s fans, though — especially after watching the band rise to fame and success in the beginning of the film. At the end, when director Michael Rappaport goes backstage after a particularly heated fight and questions Q-Tip if it’s the crew’s final show, Q-Tip only asks how Phife and the other members answered; for a rapper able to connect to millions of nameless, faceless fans, it’s heartbreaking to see Q-Tip unable to speak to a friend he’s known since they were two years old. When Phife undergoes surgery for a kidney transplant, Q-Tip sends a simple text message that hurts as much as a knife in the back. And you don’t have to be a dedicated fan to feel frustrated with the group’s lack of closure, though it hurts more when you are. De La Soul’s Maseo, a longtime friend and collaborator with Tribe, is interviewed during the 2008 tour and says he hopes that it will be their last show. He reasons that the band is known for its messages about sincerity and positivity and love, and since their heart’s not in it anymore they should quit. And with screen time devoted to Phife’s new career as a basketball coach and recruiter and Q-Tip’s successful solo career, it seems completely plausible that the Tribe will do just that. Indeed, the movie starts as Rappaport’s love letter to the group, but it ends as his cry for an intervention. But the Tribe has spoken, even though now it’s not necessarily what their fans want to hear.